Silver medal awarded to Clement Yates on 8th August 1904 by Royal Shipwreck Relief and Humane Society of N.S.W. for role in Mt. Kembla mining disaster rescue . Silver medal with ribbon and pin attached. 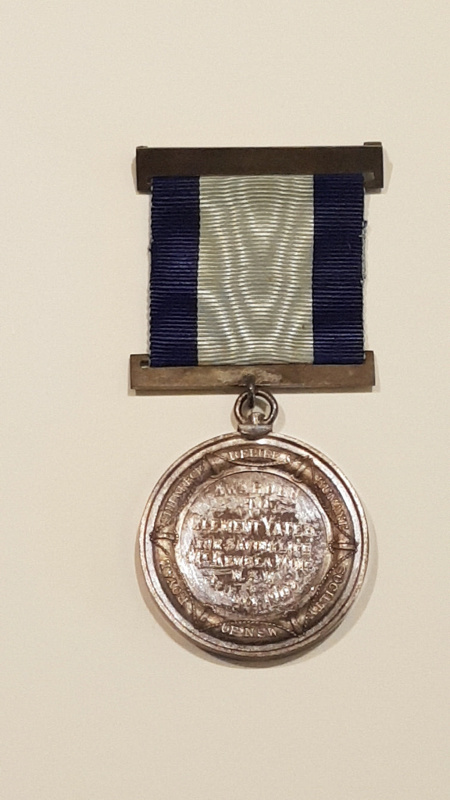 Inscription reads: AWARDED TO CLEMENT YATES FOR SAVING LIFE MT. KEMBLA MINE N.S.W 31 JULY 1902.